Built in 1921 by the New York Central’s own shops in Oswego, N.Y., this cupola caboose has a steel frame and a wood body. Part of a group of 115 cars numbered 19001 through 20082 (Lots 427, 468) constructed at Oswego Shops between 1912 and 1923, these wood body cars made up the backbone of the caboose fleet through the 1960s. The original construction cost of No. 19877 was estimated to be about $3600.00. The car is 36 feet in length and features a truss rod underbody design. 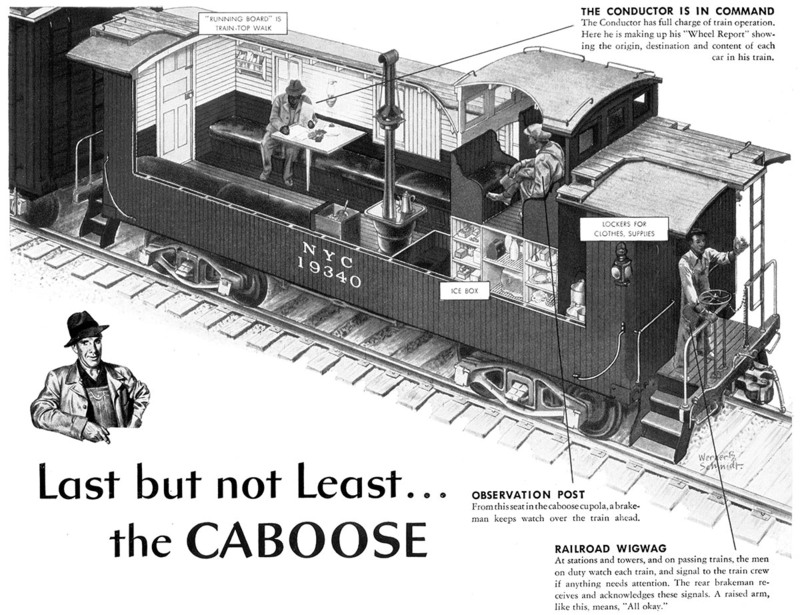 The caboose was used throughout the NYC system, but spent a good deal of its life working around the Rochester area. Surviving into the Penn Central era, the caboose was not retired until 1972. 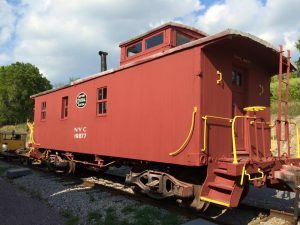 The caboose was donated to the museum in December 1986 after being sold in 1973 to a private individual who displayed the car in his yard. The caboose was brought in by truck to the museum complex in August 1987, where it saw occasional use on our museum demonstration railroad. Taken out of service in 2002, museum volunteers have made many repairs including the application of all new tongue and groove siding, new windows, and a complete interior and exterior repainting. While some work remains to repair the roof, major repairs have been completed and the caboose was returned to service in October 2015. This caboose is in regular operation, which you can ride on your next visit to our museum. Built in 1921 at NYC shops in Oswego, N.Y.